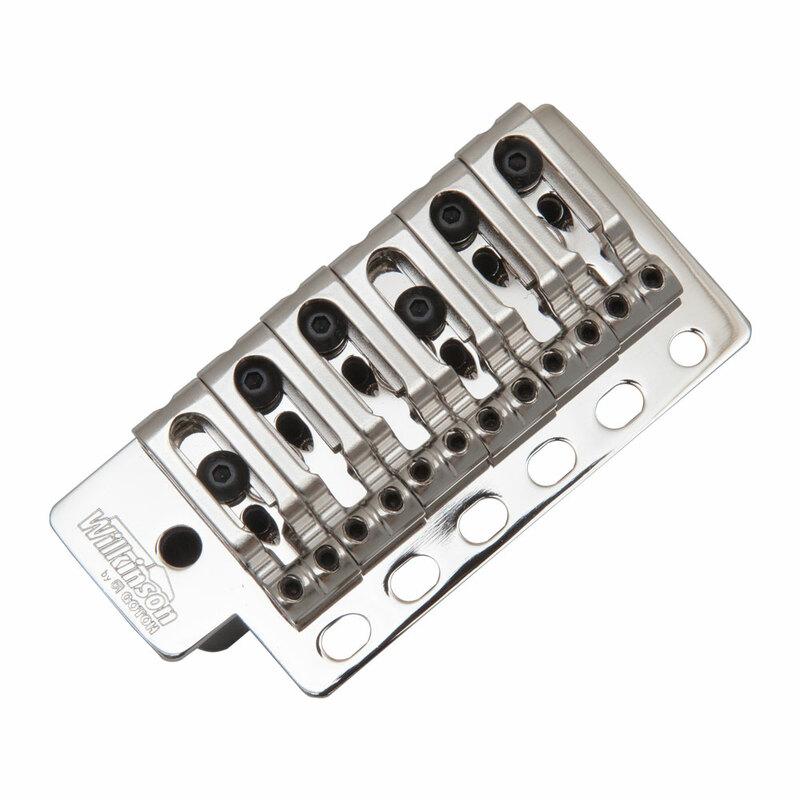 The Wilkinson VSVG Tremolo System is made by Gotoh in Japan using their advanced technology and high quality manufacturing. The design objective was to create a vintage style Stratocaster tremolo in tone and feel but with better performance, by enlarging 5 of the pivot screw holes in to slots, the tremolo doesn't bind against the holes during bending, returning to tuning more accurately, one screw remains the same to ensure alignment of the tremolo is kept. The bent steel saddles are reimagined to be more comfortable against the hand and eliminate springs for intonation adjustment for a more secure saddle with no chance of buzzing, the saddle loops round under the height adjustment screws giving two threaded sections for the screws, keeping the vertical and more supported. The tension holding the tremolo arm can be adjusted via a set screw in the bridge underneath the baseplate.